Sheffield Newspapers, part of the Johnston Press group which includes Sheffield Star and the Sheffield Telegraph, is to move over 400 staff to new offices in the city. As part of the deal, Johnston Press will relocate its accounts department from Leeds to floors five, eight and part of the ninth floor at The Balance offices, a total space of 27,000 sq ft. The deal was brokered by the Sheffield office of Knight Frank and is set for completion in October. Johnston Publishing, holding company for Johnston Press, sold its Sheffield headquarters at Telegraph House on York Street to property company Toscafield for £3.6m in June. Ben White, associate at Knight Frank, said it was "one of the largest office lettings in Sheffield for some time". 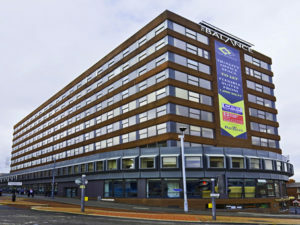 “The Balance is an ideal location for the group as it is right in the city centre, keeping the Sheffield Star and Sheffield Telegraph editorial teams local," he added.